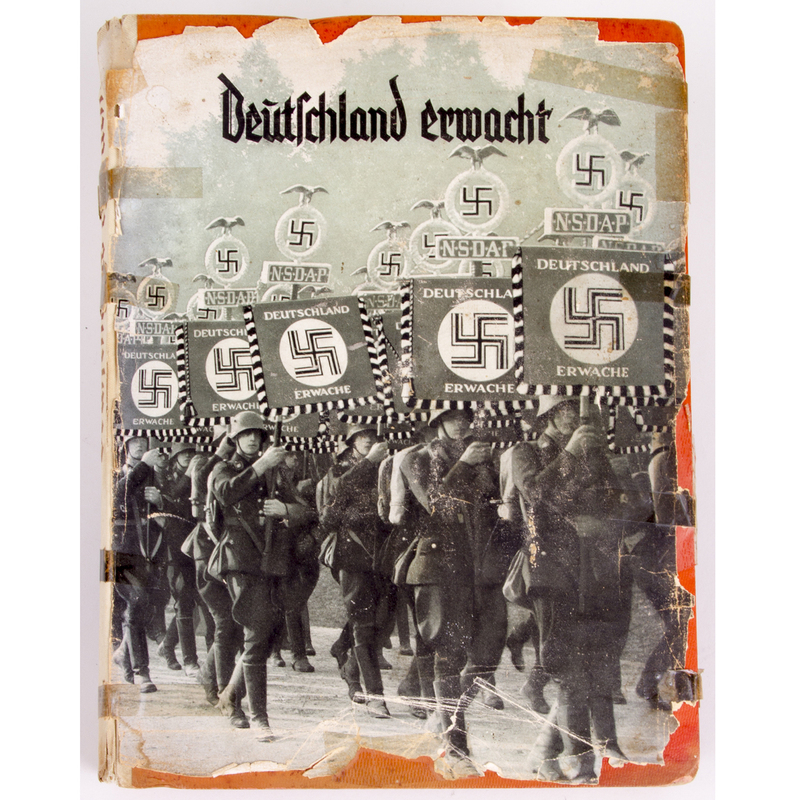 A "cigarette book” containing propaganda photographs. The Reemtsma cigarette company included coupons in cigarette packages that the consumer could collect and then exchange for sets of photographs., which were then affixed to the pages of the book. Dimensions: 12 3/8 x 9 1/2 x 1 1/4 in.